Over a year and a half ago I happened to catch an episode of Rachael Ray’s talk show where Republican Presidential nominee Mitt Romney’s wife, Ann, was preparing his favorite meal! Believe it or not, his very favorite dish is Meatloaf Cakes! As traditional and, dare I say, boring as that may seem, I have to admit a slightly modified version of this recipe has become one of OUR favorite dishes as well! In a large mixing bowl, combine the ground beef, breadcrumbs (I used gluten-free bread that I made into crumbs in my Blendtec blender,) eggs, onion, lemon juice, seasoning salt, and black pepper. Mix ingredients lightly with a fork. Don’t mash or the loaves will be dense. Divide the mixture into 6 portions and shape each portion into a mini loaf on a sheet pan. Bake for 15 minutes. While the mini loaves are baking, make the glaze. In a small bowl, mix together the ketchup, brown sugar, mustard, cloves and allspice. After the mini loaves have baked for 15 minutes, brush some of the glaze on each loaf and return to the oven. Bake for another 15 minutes or until cooked through. 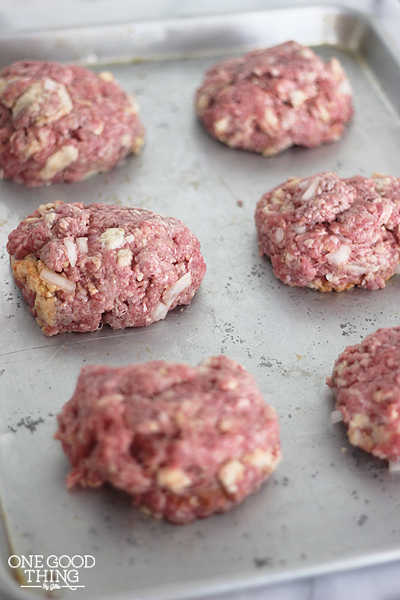 They are so easy and are delicious with the meatloaf cakes! Heat the oven to 400 degrees. Peel and chop carrots, zucchini, turnips, butternut squash, yams, brussel sprouts, onions….whatever your family likes…..into approximately 1-inch cubes. Toss with olive oil, sprinkle with kosher salt and place in single layer on a baking sheet. Don’t overcrowd. Roast for 40 to 45 minutes. My kids (and husband) love that they each get their own mini meatloaf and I love that is on the table in half the time! How many servings does this make ? (Y) gone to make this right now!! I made these last night with only one change, leaving out the brown sugar in the glaze (we’re a sugar free family). They were delicious. I love it when healthy eating tastes great! These also work out very well when cooked in a muffin pan….if you have kids you can use the smaller sized 12 muffin pan and it portions out well. For adults, the larger sized muffins in the 6 muffin pan are perfect (and that one works in my toaster oven so no need to heat up the kitchen in warm weather :-) Great idea, and if you are a couple, it becomes the best of the ‘cook once, eat two or three times’ type of recipe this way!